myoldmac.net - Apple and Mac 68k Forum - View topic - Mac SE/30 with IIsi or IIfx ROM running MacOS 8 ! Apple and Mac 68k Forum :: View topic - Mac SE/30 with IIsi or IIfx ROM running MacOS 8 ! 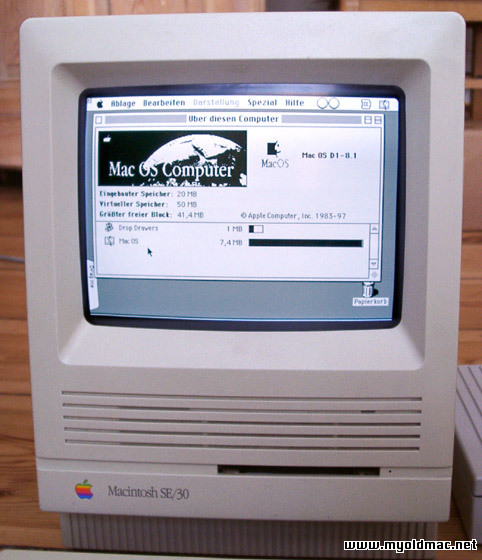 Posted: Fri Aug 04, 2006 1:48 pm Post subject: Mac SE/30 with IIsi or IIfx ROM running MacOS 8 ! 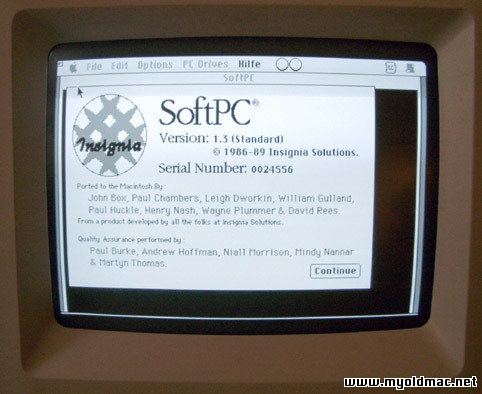 Installing Mac OS 8.0 on an Mac SE/30 with a IIsi or IIfx ROM SIMM. Note: The author does not claim any responsibility for damage ensuing out of this descriptions. If not explicitly stated the patches have been developed by others and have been succesfully tried and tested. It is still possible that some programs won't run propperly with a patched OS and loss of data can occur ! Although sold as a 32-bit computer, the SE/30 ROM included some 24-bit code, rendering the ROM "dirty". This limited the actual amount of memory that could be accessed to just 8 MB. The solution was to use a program called MODE32 which enabled access to the extra memory (if installed). Alternatively it has been found that replacing the ROM SIMM with one from a Mac IIsi or Mac IIfx makes the SE/30 32-bit "clean" and thereby enables use of up to 128 MB RAM. With some system software modification, it also becomes possible to run OS 8.0 or OS 8.1 (whereas the SE/30 normally can only run up to System 7.5.5). After a few modifications of the 'system suitcase' you can run OS 8 on a Mac Se 30. The necesary modifications are laid down on this page. Please read the Patch Info. Following are methods for installing OS 8.0 on an SE/30 with a IIsi or IIfx ROM SIMM. Mode32 v7.5 Installer, and os8-030patch. 2. CD ROM drive to have OS 8.0 or OS 8.1 CD. You can also use a external Harddrive (SCSI) with the System Installer. 3. Turn off SE/30 and install IIsi or IIfx ROM SIMM. 4. Boot from hard drive OS 7.0.1 or 7.1 and open Mode32 v7.5 Installer. Remove Mode 32 v7.5 if it is installed on your system..
5. In Memory control panel set '32-bit Addressing' to 'On'. Close Memory control panel. Note: the PRAM Cache Battery needs to be under power. 6. Drag Wish I Were control panel and Wish I Were extension to hard drive 7.0.1 or 7.1 System Folder icon. 8. Launch the 8.0 Installer with Installer options "Clean Install" and "Easy Install". Ã¯ Replace 'boot' resource 'ID 2' with the same resource from 'os8-030patch.'. Ã¯ Replace 'gbly' resource 'ID -16385' with the same resource from 'os8-030patch.rsrc'. Ã¯ 'gusd' resource 'ID 1' at offset '000010', replace data '0016 0006' with data '0009 0005'. 10. Trash the 'Monitors and Sound' control panel. 11. From the Apple Extras folder drag both the 'Monitors' and 'Sound' control panels to the System Folder icon. 12. Use System Picker 1.1a3 to select hard drive OS 8.0 for reboot. I have done the procedures with my Mac SE/30 and it works stable. 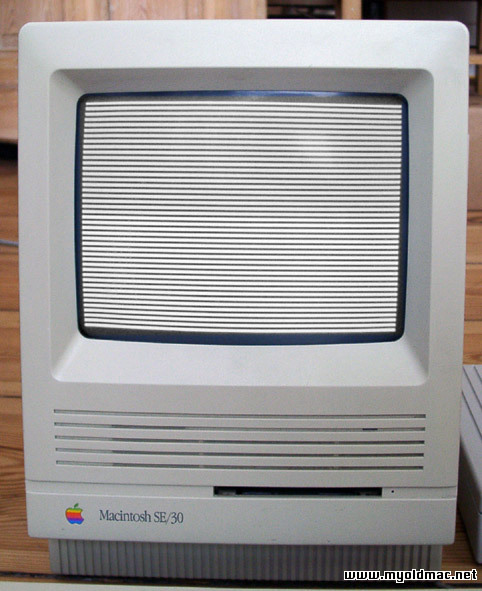 The only thing to note: The Mac starts with the "SimasiMac" (Horizontal Stripes) for about 5 to 10 seconds after booting, after this moment the MacOS 8.0 starts. Where to locate the ROM-SIMM on the Macintosh IIsi ? The ROM-SIMM is not installed on most of the Macintosh IIsiÂ¥s, to find one is a bit of luck. 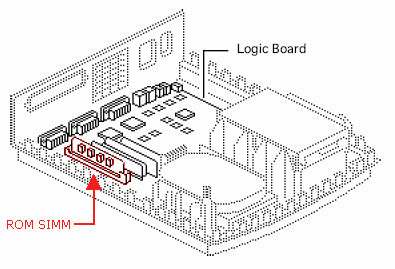 In the picture below you see the location of the ROM-SIMM - again, often this SIMM is not installed. Where to install to ROM on the Mac SE/30 Logic Board ? 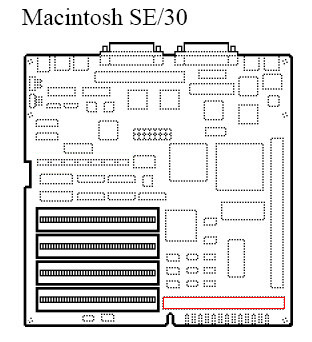 Below you see the ROM-SIMM location on the Mac SE/30 Logic Board (in red border). The startup process - a few seconds the sreens shows horizontal stripes... the "SimasiMac" effect. After that some extentions get loaded... With a "custom made StartupScreen"
The ICONS displayed in mini format by using "Conflict Catcher"
50 MB virtual RAM I can easily start Photoshop 4 on this Mac.! And just for fun: SoftPC is emulating a complete PC on it - with fascinating performance! I had to wash the MotherBoard because of leaking capacitors. The Mac did only start with Simansi Mac Pattern. Now it boots correctly again and I have upgraded to 36 MB using 4 MB Roms from some Mac LCs. could work to install mac os 8 on my SE/30? a IIfx ROM SIMM should work (if it is the original IIfx ROM SIMM, often now the IIfx is shipping around with an already switched ROM SIMM). I have installed the ROM SIMM on my SE/30 and set up the HD on an external SCSI Harddrive which was later installed in the SE/30. 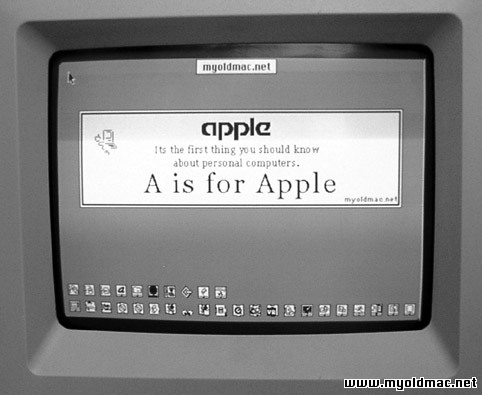 Because of the 1988 copyright I think it is the original from the Mac SE/30. The IIfx was sold from 1990 to 1992.